!! 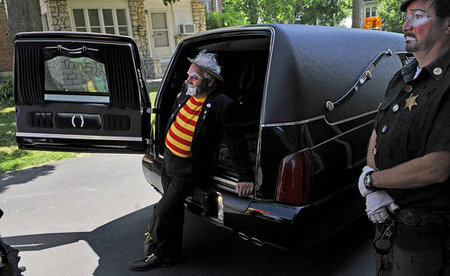 OMG, how morbid: Clown Funeral !! 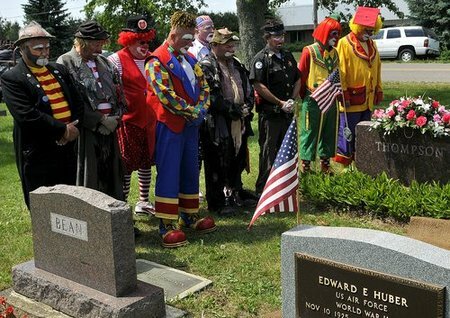 This reminds me of the time I tried to look up “Fun” in the phone book and only found “Funeral”. 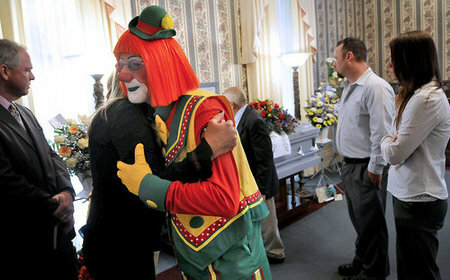 The patrons of Norman Thompson’s funeral in June were also his colleagues from the Antioch Shrine Funster Clown Unit. It’s quite sweet that they dressed up, but thank god this didn’t take place at night, cause then it would have just been terrifying. 2 Comments on "OMG, how morbid: Clown Funeral"
That’s really great. 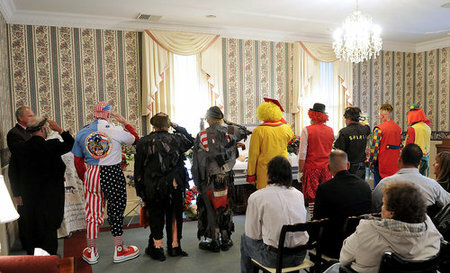 The costumes made a much more heartfelt tribute than a thousand speeches could have. 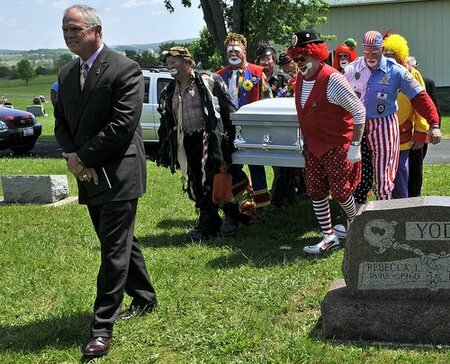 It reminds me of the funeral of MTM’s Chuckles the Clown: A little song, a little dance, a little seltzer down your pants.